We have one of the most famous actors you have probably never heard of coming to The Brindley to play Belle’s father, Maurice, in Beauty and the Beast. He will join Amelle Berrabah who plays Fairy Sugababe in the #Brindleypanto. 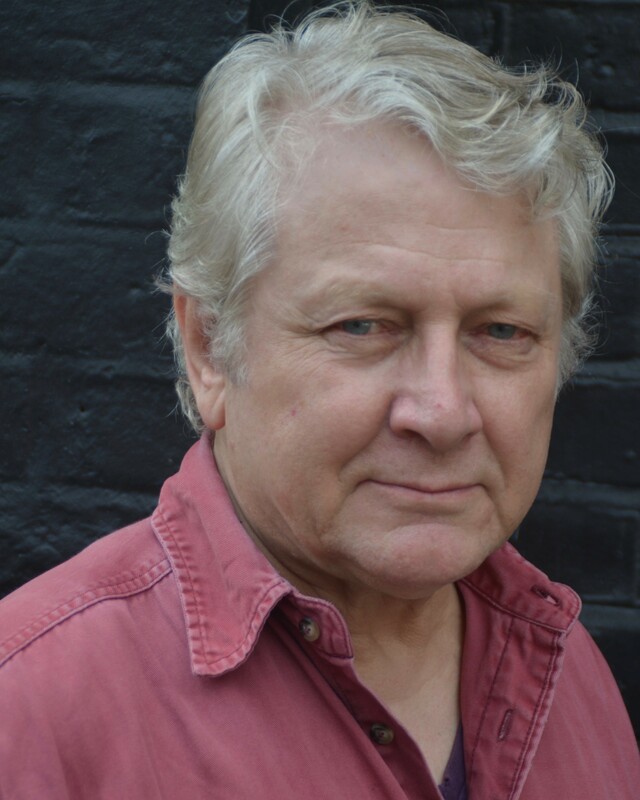 Dean Harris is a bit of an acting legend, having appeared in Godspell, Blake’s Seven, Dixon of Dock Green, The Sweeney, Grange Hill, Z-Cars, Eastenders and Coronation Street (where he played Alan Skidmore). He began his acting career in 1966; the early years spent appearing with leading repertory companies in the UK as well as touring the United Kingdom, Canada and Zimbabwe. In London’s West End he played Judas in Godspell opposite Robert Lindsay at Wyndham’s Theatre (1974) and Dadda Kemp in Entertaining Mr Sloane opposite Alison Steadman at The Arts (2001). He has appeared in more than 50 television comedies and dramas and has played opposite Peter Cushing in Sherlock Holmes, Jack Warner in Dixon of Dock Green, Dennis Waterman in The Sweeney, Judi Dench in As Time Goes By, Jasper Carrot and Robert Powell in The Detectives, John Thaw in Mirch, James Bolam in Second Thoughts, Tom Conti in Old Boy Network, Adam Faith in Love Hurts, David Jason in Diamond Geezer, Warren Clarke in The Case of the Frightened Lady, Anthony Andrews in Ivanhoe, Eric Sykes in If You Go Down in the Woods Today, Michael Kitchen in Home Run, Larry Lamb in Fool’s Gold and Bill Paterson in The Interrogation of John. Dean also appeared in the BBC children television comedy series, as the naive Mr Boyes in Bad Boyes; and the environment polluter, Mr Belcher in Earth Warp. In adult orientated series he played Sgt Quirk in Blood Money, from which Michael Denison’s and Dean’s characters were taken and given their own espionage series called Cold Warrior. He was also seen as the best safe cracker in business in the BBC series The Fourth Arm, plus the animal rights militant, Curtis Jaeger in Howards’ Way. Other television appearances include in Z-Cars, Softly, Softly, Bergerac, Blake’s 7, Casualty, Coronation Street, EastEnders, Shoestring, London’s Burning, Drop the Dead Donkey, Grange Hill, Heartbeat, Howards’ Way, Silent Witness, A Touch of Frost, and five different characters in The Bill. His voice work includes dramas on CBC-radio and the part of Villa in the initial audio recordings of Blake’s 7. He played opposite Derek Jacobi in The Martian Chronicles and has a five-page death scene in the audio version of Dan Dare. Last year Dean’s critically acclaimed performance as movie mogul Louis B Mayer in The Tailor Made Man earned him an Offie nomination for Best Actor. He also recently played Charlie in the film Paradox, recorded an episode of Modern Horror Stories, When Harry Met Sally and played the lead in the film The Mail Order Bride. He is delighted to be joining the cast of Beauty and the Beast in Runcorn this year – Oh yes he is! ‘Red Dress’ singer Amelle Berrabah will star in the glittering production. She joined the Sugababes in 2005 after their manager had seen her perform years earlier as a member of Amelle’s first band, Boo2. The Sugababes went onto worldwide success with selling more than 12 million albums, over 26 top 10 singles and two number one hits. The toured all over the world, then signed to Jay Z’s record label, RockaFella in the USA. She has also had success in the film world, playing a character for the blockbuster movie ‘Plastic’, staring the ‘Game of Thrones’ star, Alfie Alan. Along with film and future film projects. Amelle is also the first and only member of the Sugababes to achieve a solo number one from her collaboration with TInchy Styder which was the biggest selling single of 2009 (Never Leave You). After enormous success, for nearly a decade, the Sugababes recently took a break to pursue individual endeavours. Amelle got married and has just given birth to her first child. Dame Rob Squire was recently revealed a returning to the Halton Borough Council venue this year. Charlie Griffithsis also returning to the cast, for the magical tale. They will join former Miss British Isles Rebecca Lake, actor and local theatre star, Andrew Curphey, in the Brindley production. The show is being staged by Polka Dot Pantomimes on behalf of Halton Borough Council. Beauty And The Beast, presented by Polka Dot Pantomines, runs from 10 December 2018 to 13 January 2019.